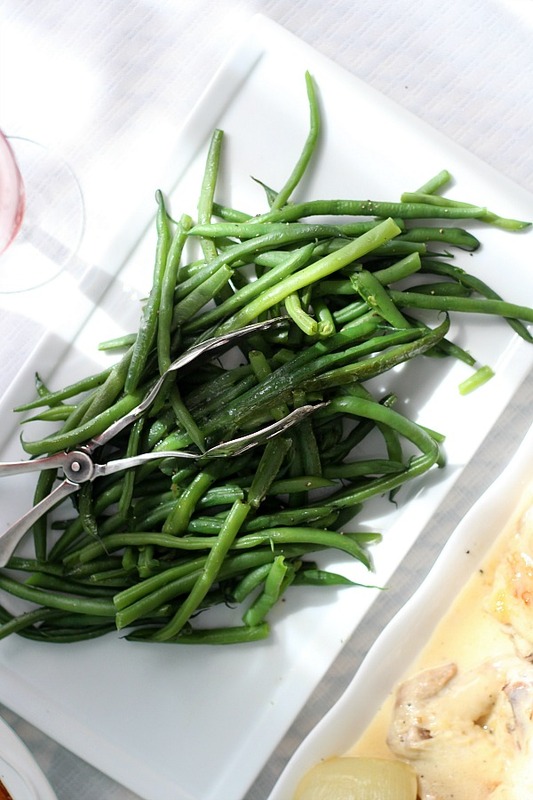 Haricots Verts or French String Beans is a lovely and healthy side to chicken, fish, beef or pork. Cooked just until bright green and tender they are a quick and simple addition to your favorite entree. They are also great to toss in to a salad. 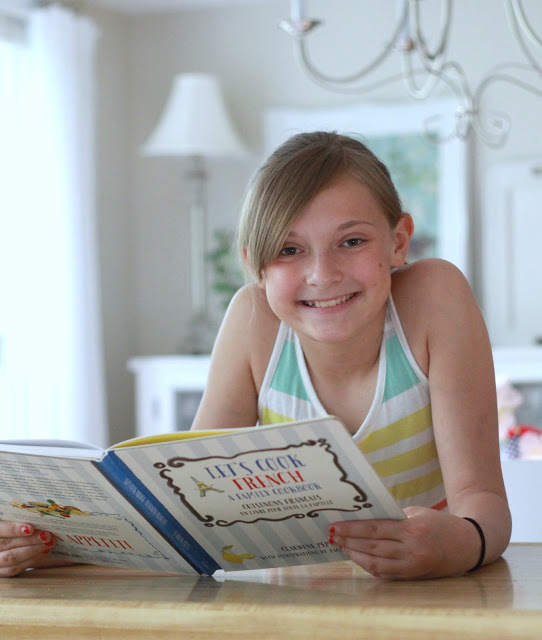 This simple recipe is part of a cooking day spent with my granddaughter and two of her friends. The girls prepared a lovely poulet a la creme and a wonderful dessert I will be sharing next. French cooking may seem intimidating and something for a special occasion. French cuisine is not just about fancy plates of food and elaborate presentation. 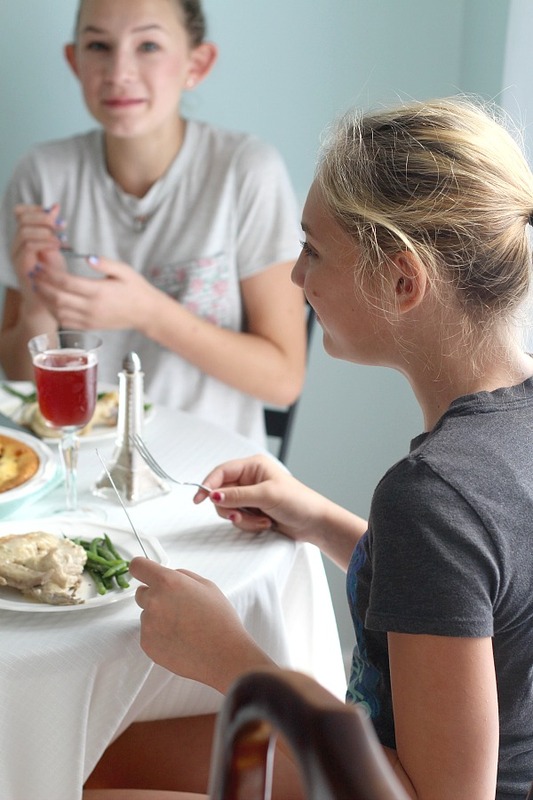 The girls had a great time and were more than capable of creating a complete and delicious meal. What is the difference between haricots verts and green beans? 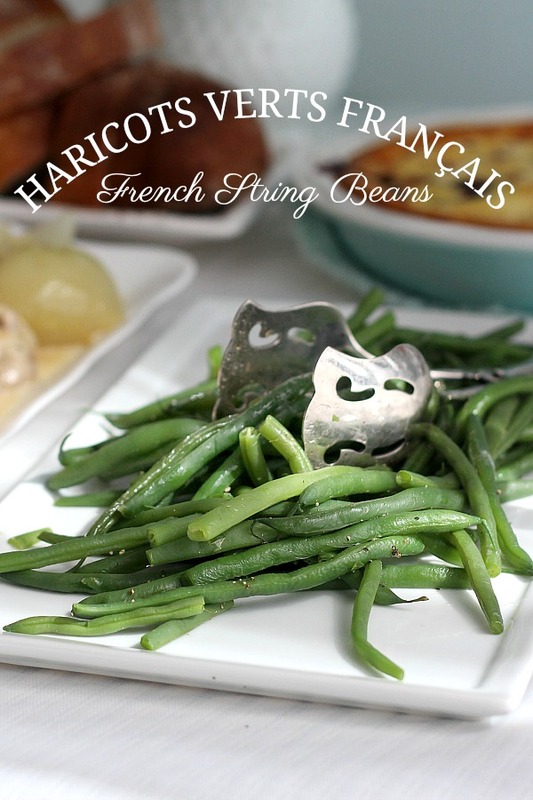 Haricots Verts (pronounced Ah-ree-koh VERH), is French for green beans. 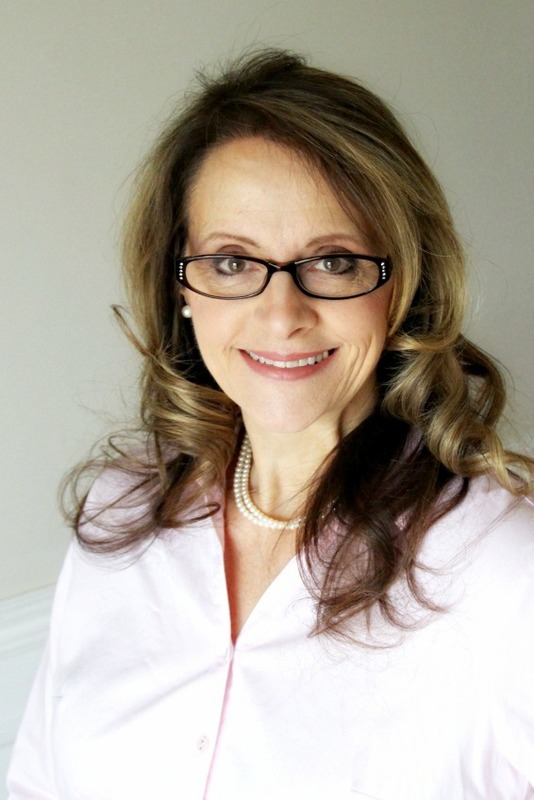 It refers to a longer, thinner type of green bean than the typical American green bean. Green beans is a general name that includes many related types of beans. It describes the most common type sold, classic green beans like the ones we all grew up with. Maybe you call them string beans. Since haricots verts are tender and delicate, they cook in about half the time than their common green beans. Do be concerned if haricots verts are not available in your area, out of season or too expensive. You can substitute the standard variety with favorable results. After trimming the beans, place in a pot of water and bring to a boil. Add salt to the water. Return to a boil and cook until beans are tender. Drain; return to pot and toss with butter, salt and pepper. Trim the stem end from the beans. Leave the thin point on the other end attached. Fill a large (8-quart) pot with a lid 2/3 full with cold water. Bring water to a boil. Add 2 tablespoons of salt to the water. 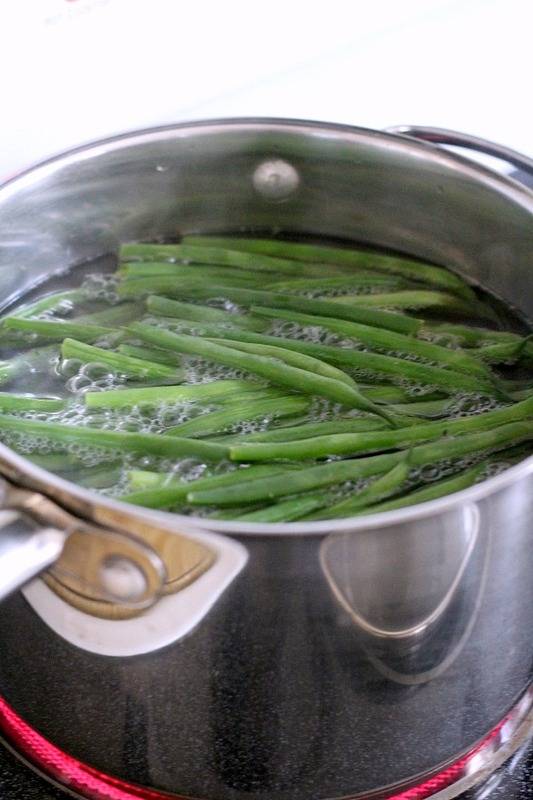 Put the trimmed beans in the boiling water and return to a boil. Cook until tender about 6 to 8 minutes. Drain the beans into a colander; return beans to the pot. Add butter, 1/2 tablespoon (or to taste) salt and the pepper. Toss until all the butter is melted. 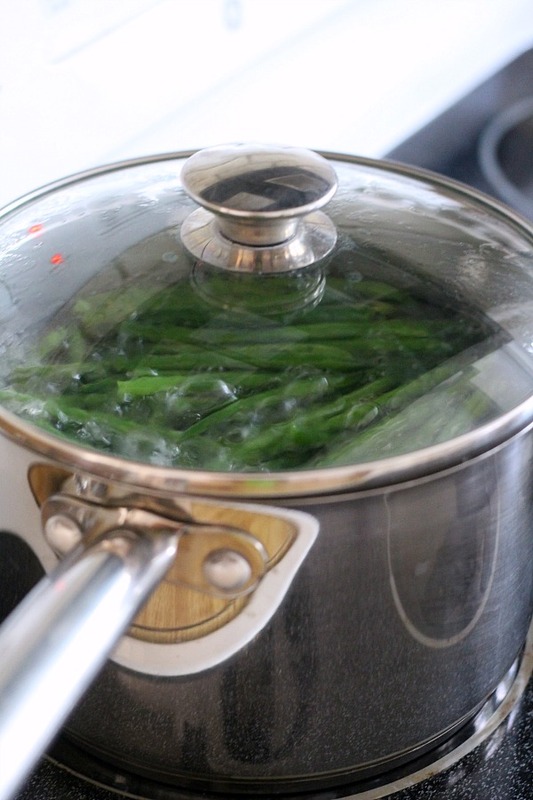 Remove the beans from the boiling water and place in a large bowl of ice water to shock them. Drain the beans. When you are ready, reheat the beans in a saute pan with 4 tablespoons of butter, 1/2 tablespoon (or to taste) and 1/2 teaspoon pepper. When cooking vegetables in water, the basic ratio is 2 quarts water to 1 tablespoon kosher salt. Make sure the water is boiling before adding the vegetables. Except potatoes: when boiling potatoes, always start with cold water. This is the recipe for the Chicken in cream sauce. 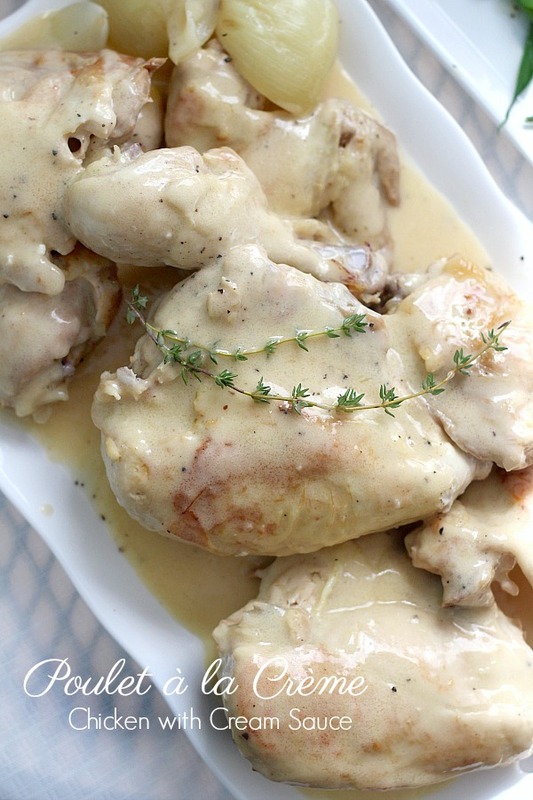 For the recipe, click: Poulet a la Creme. Our Newsletter is published once every three weeks. Each issue is timely and helpful, jam-packed with food, crafts, occasional DIY, gardening and faith resources. Relevant and seasonal posts to inspire and guide you with current trends. 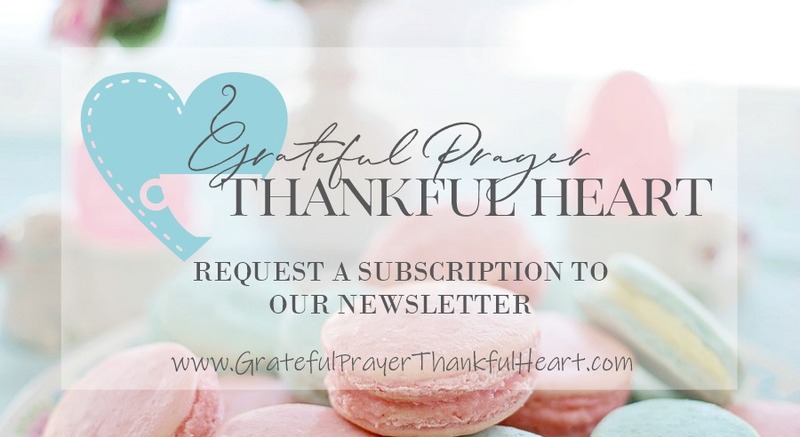 Available only to those who request it, so please accept our invitation to stay connected and join the Grateful Prayer Thankful Heart community. Just click the subscribe button below. We have been in and out of town through the summer and some of the time off grid with our cabin-on-wheels. No cell or internet at times so I’m continually catching up. 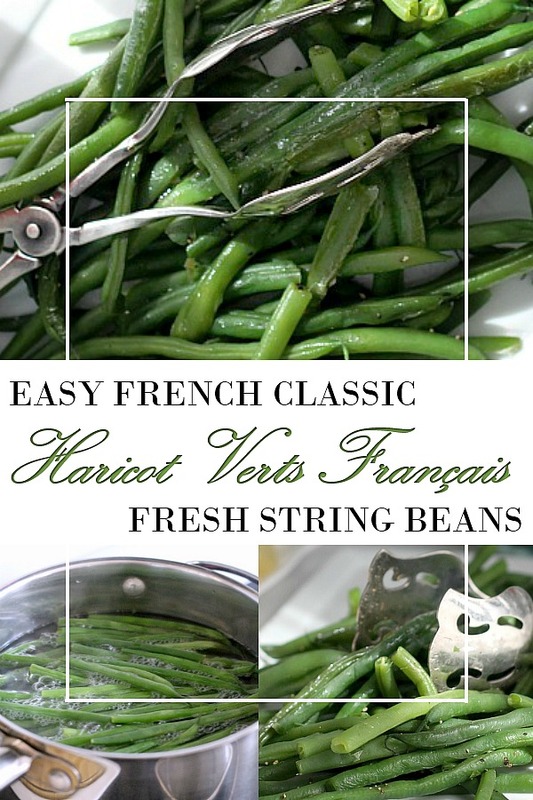 I came across this post this morning and could almost taste the wonderful haricots verts. A favorite of mine and perhaps time to stock up and enjoy again. Look good. I learned something new today too. I didn’t know that you should wait till the water is boiling before adding the vegetables.